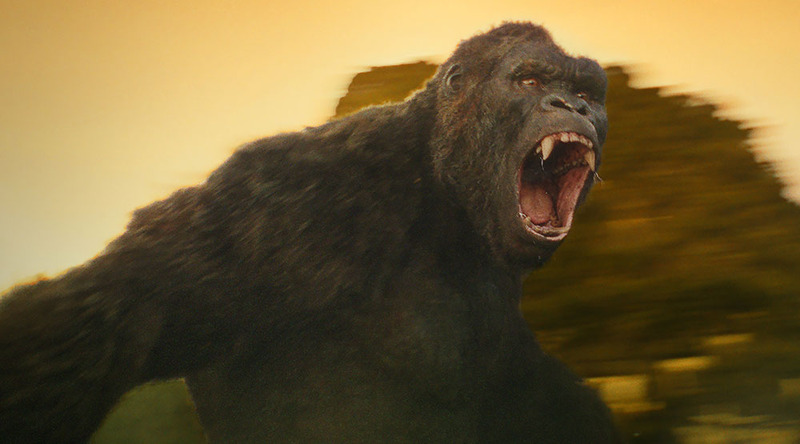 Directed by Jordan Vogt-Roberts (The Kings of Summer) and screenwritten by Dan Gilroy (Nightcrawler, The Bourne Legacy) and Max Borenstein (Godzilla), Kong: Skull Island is a reboot of the King Kong franchise, the second instalment of Legendary’s “MonsterVerse” and a prequel to Godzilla (2014). 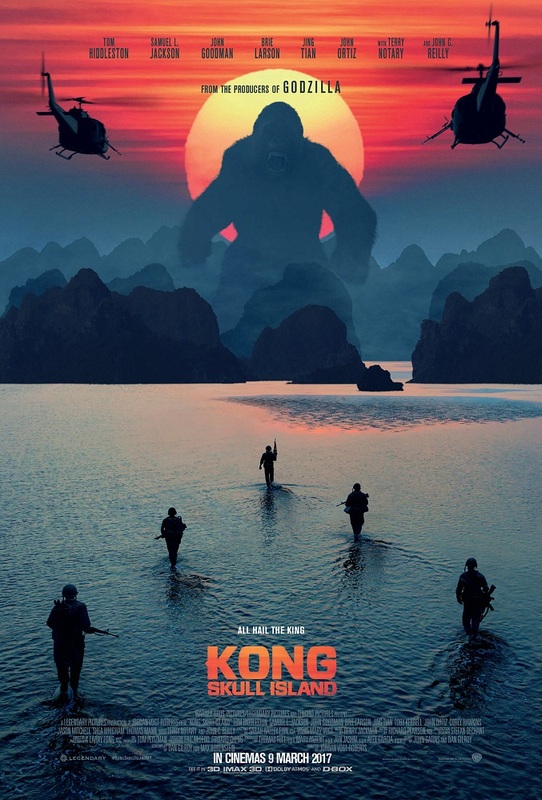 Pretty much like the first half of the original and the previous two known feature film reboots, a group of people explores an undiscovered island and find themselves in a dangerous world of gigantic monsters including King Kong. However, the characters are all completely new and this Kong never gets to climb any skyscraper at the end. 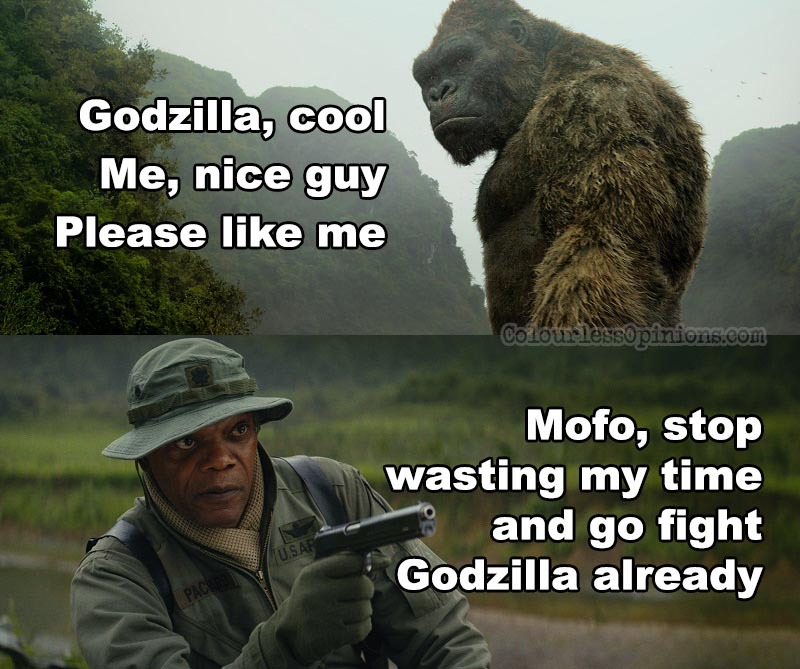 Unlike the 2014 Godzilla film, Kong: Skull Island is very fast-paced, action movie-like and seemingly only half self-aware that it’s stupid, cliched, flawed and over the top at most times. It also tries very hard to be funny but doesn’t really work out. It’s like watching Jurassic World and Predator with Independence Day 2‘s tone. Speaking of which, like in Independence Day 2, there’s a Chinese actress in the film, Jing Tian (The Great Wall, Police Story 2013), who plays a pointless eye-candy role with very little dialogues; probably a request by the film’s Chinese production company, Tencent Pictures. Anyway, while the film does offer a good amount of entertaining CGI-filled action of monsters fighting and killing men and each other, its premise, storytelling and characters are unengaging and lacks substance. It also doesn’t feel any where as immersive as Peter Jackson’s 2005 adaptation of King Kong. There are many big-name actors here — Samuel L. Jackson (who doesn’t know this mofo? ), Tom Hiddleston (Loki in the Marvel Cinematic Universe), Brie Larson (Oscar-winner and soon-to-be Captain Marvel), John Goodman (10 Cloverfield Lane, The Flintstones), Corey Hawkins (Straight Outta Compton), Toby Kebbell (Warcraft, RocknRolla), John C. Reilly (Wreck-It Ralph, Chicago) and Japanese visual kei rocker Miyavi. These undeniably charming actors gave a good attempt at providing their uncompelling stock characters a bit of depth but they’re never given the screen time to fully explore them. Some of them don’t even look as terrified when they should be. 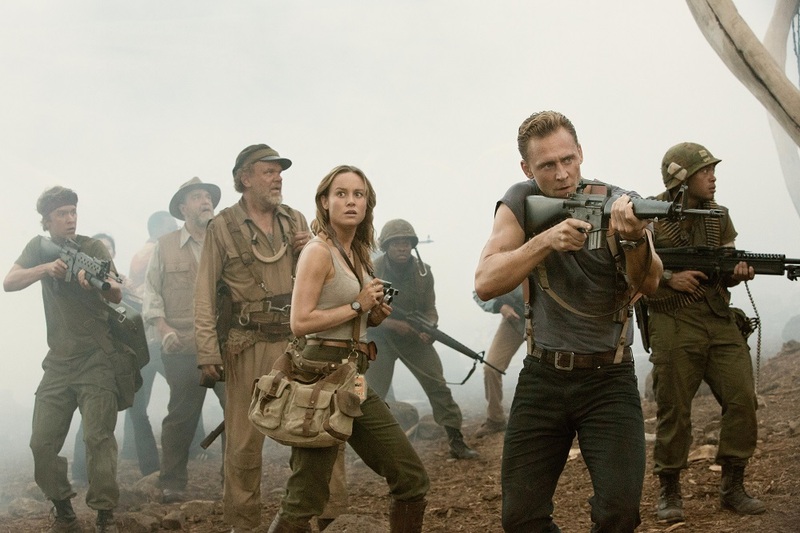 Hiddleston plays James Conrad, a former soldier hired to be a tracker on this expedition, goes from being money-grabbing man to the group’s moral compass and sword-wielding monster killer. I wanted to palm my face and shake my head when he’s slicing and dicing monsters in slomo. Larson’s role as the anti-war photojournalist Mason Weaver is the typical kindhearted character who conveniently “connects” with King Kong (subtle homage to the original perhaps) and shoots a flare gun like a champ. When she’s not doing that, she’s having a good time taking photos. Just like me, she wasn’t that engaged by the life-threatening situation she’s in. Jackson’s war-obsessed character Lieutenant Colonel Packard is perhaps the only one that feels developed enough and yet still not enough to give the film an interesting enough plot. King Kong’s motion capture performance is by Terry Notary (Warcraft, Planet of the Apes films). The CGI is acceptable, though the monsters don’t look as convincingly real as I would’ve liked, and Kong’s presence is greatly felt. But he lacks personality like never before on screen, which defeats the purpose of the film. The film actually has a better story under its main plot — Reilly’s character Hank Marlow being stranded on the island for 28 years with his Japanese war enemy Gunpei Ikari (Miyavi) — that could’ve been so much more intriguing and meaningful but unfortunately the more general, cash-grabbing blockbuster approach was preferred. In the end, did Kong: Skull Island make me want to see more of this King Kong? No, it’s a rather disappointing buildup to the future Godzilla vs. Kong film and probably should’ve skipped right to that instead. Post-credits scene: Yes, there is one after the entire closing credits rolled out. Following the footsteps of the Marvel Cinematic Universe, the scene shows that Godzilla exists in the same universe and hints what’s in store in the next MonsterVerse instalment — Godzilla vs. King Ghidorah (three-headed dragon monster) and probably others more that I didn’t quite catch. To watch in 3D? I’d recommend it in IMAX 3D. Even though it’s converted to the format in post-production, the three-dimensional depth is quite significant. Malaysian censorship: Apart from muted profanities, I didn’t notice any obvious jumps at the press screening. May I just add that some of the human deaths are surprisingly quite gruesome. Verdict: A watchable popcorn flick I’d never want to sit through again.